Home Automobile Should I Tip the Limousine Driver? Should I Tip the Limousine Driver? Renting a limousine can be a wonderful way to feel like a VIP on your hen night, stag do, birthday party, or school leaving do. When the gleaming stretch limo pulls up outside your door, you can pretend you are a glamorous rock star or celebrity and you can pile into the back with your friends and sip champagne on the way to your destination. If you have never rented a limo before, you might be wondering what the appropriate behaviour is when it comes to tipping your driver. It is a good idea to know this in advance, so that you will not be confused and unprepared on your special night, which could be stressful. Do Limo Drivers Get Tips? The general practice is to give your limousine driver a tip as they are working in the service industry and they are performing a much more responsible role than a waiter or a bartender. A good guideline for a tip is 20% of the total fare, but if they have gone above and beyond to make your trip special you can add a bit more. Also, the tip situation depends on where you are taking your limousine. If you are riding in a limo while on holiday in the USA or Canada, there is a definite tipping culture there and it will be expected that you leave a gratuity. In the UK, tipping is less of a common practice but when you are renting a special service such as a limousine it is always appreciated if you give the driver a little something extra. It never hurts to have a little extra cash on hand to thank your driver for making your night perfect. Keep in mind however, that some companies will automatically include the gratuity in the total fare. When you are booking the limo, make sure that you ask whether the tip is included in your total price. If it is, you don’t have to worry about tipping the driver any extra. If you are really not sure whether or not you should tip a limo driver, it’s always a good idea to simply ask the company who you booked with before your trip. They will be able to tell you whether or not a tip is included or whether tipping is common practice. It’s better to ask in advance than to be confused, so that you can relax and enjoy the fun! Are you wondering whether or not you should tip a limo driver? 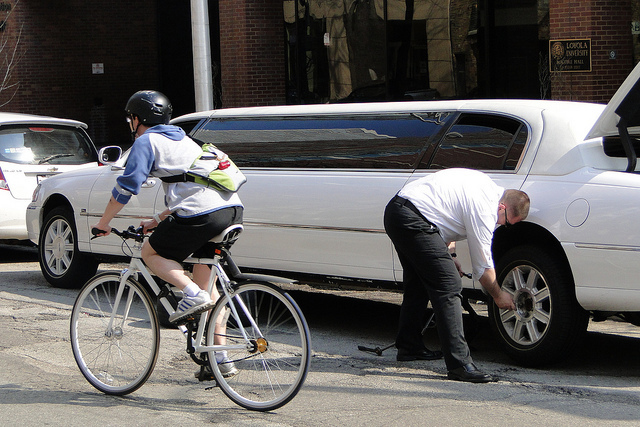 Here are some things to keep in mind before your limo ride. FTC car wrote this article for more information about them search for hummer limo hire coventry.